3 Beds 2 Baths 1,850 Sq. ft. Your Villa Park dream home is waiting for your decorating touch. 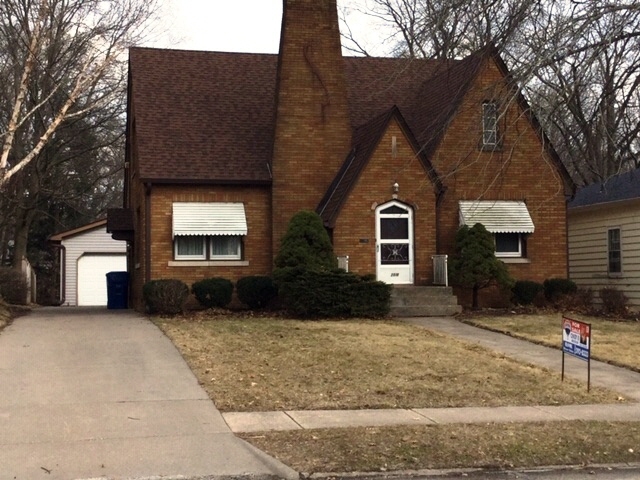 This solid brick, 1 1/2 story has a 2 car garage, per seller "oak floors under carpets" on main floor. 3 bedrooms, 2 bathrooms and upper level office and mezzanine, walk-in attic plumbed for another bath. Formal dining room with 2 built in corner hutches and French doors to the patio. Direct vent gas fireplace in the living room. Updated electric box, windows and slider 2012. New chimney cap, new basement windows 2017. Roof, gutters and downspout 2016. Furnace & Air 2016. SOLD AS-IS.